We have the complete range of Organicspa products in our online shop. Organicspa celebrate their 10th anniversary providing certified organic skincare products to spas & beauty salons across Australia, Asia, New Zealand, Europe and America. Our independent organic certification assures that our products use only natural ingredients, and as a result soothe, repair and nourish your complexion. The organicspa range of chemical-free, natural and organic beauty products are created and manufactured by us here in the beautiful Byron Bay region of Australia. Our highly qualified chemists work on site to create formulations using bioactive native Australian ingredients combined with therapeutic extracts to provide proven results on the skin. All organicspa products are accredited vegan, cruelty and chemical free guaranteeing your purity of the product. All other ingredients are 100% naturally derived. Your guarantee of purity. 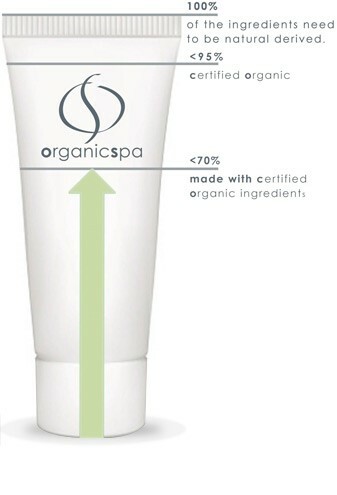 The complete organicspa collection has a minimum of 70% certified organic content. It is important to understand the balance between product effectiveness and organic content. organicspa ethos is to put effectiveness first ensuring each product has results on the skin. This is done with key ingredients with scientific results and organic ingredients which have no use of pesticides and fertilizers in the growing of the plant, flower or produce. Many reactions, redness, sensitivities can be caused by chemicals, such as fragrance and parabens. Choosing organic helps to eliminate these unnecessary ingredients, creating a safe, effective product from the best that nature can offer. We believe, that through the rigorous certification process of our manufacturing plant, all ingredients and approved formulas, together with random audits from the independent government approved certifiers, we offer a true certified organic product unlike many offered in the current market.